Why Social Media is becoming important in Customer Service? 20% customer service interaction through social media. 68% of customers feel important when companies answer questions and complaints through social media. 32% more customers believe a comment to a brand that is written in social media. 62% of the company plans to use social media for customer service in 2013 - economist intelligence unit. For above reasons, companies which have been used in social media as customer service channel or have the plan to build it must provide the people that have proper knowledge and skill to utilize and get benefit from it. 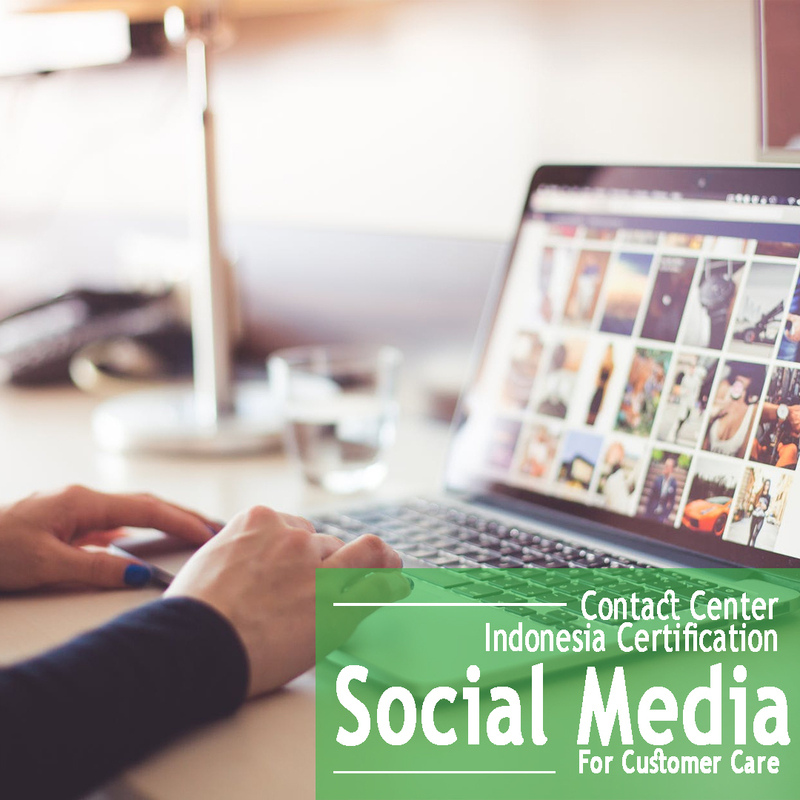 In CCIC (Contact Center Indonesia Certification) Social Media for Customer Care, the participant learns about social media features, trends and best practices used for customer service interaction and demonstrate achievement by taking the Contact Center Indonesia Certification testing. This is designed to help participants align with customer service best practices within the social media framework. Upon completion of this course, participants will ready to be assigned to manage the social media channel for customer service channel within an organization. About Twitter and Facebook in Indonesia. The behavior of social media users in Indonesia and the world. Twitter and Facebook account for organizations and businesses. Ethics interaction in social media. KPI (Key Performance Indicator) and monitoring in social media.